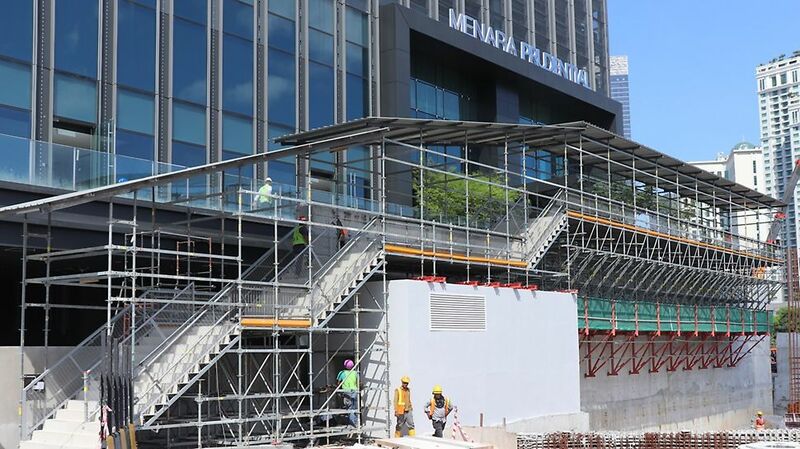 Provide temporary public access to Prudential Building, located next to TRX site. This access is required by Bomba for rescue operation in case of emergency. 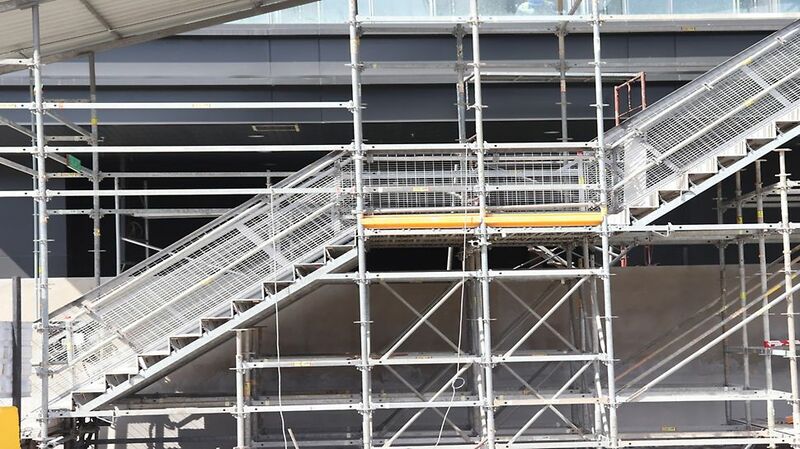 Provide staircase with width of 3m with separate landings. Erection is quick and easy, which the steps are interlock when fitted. With PERI, we have already realized numerous projects and know the high-end solutions as well as the high standard of service. 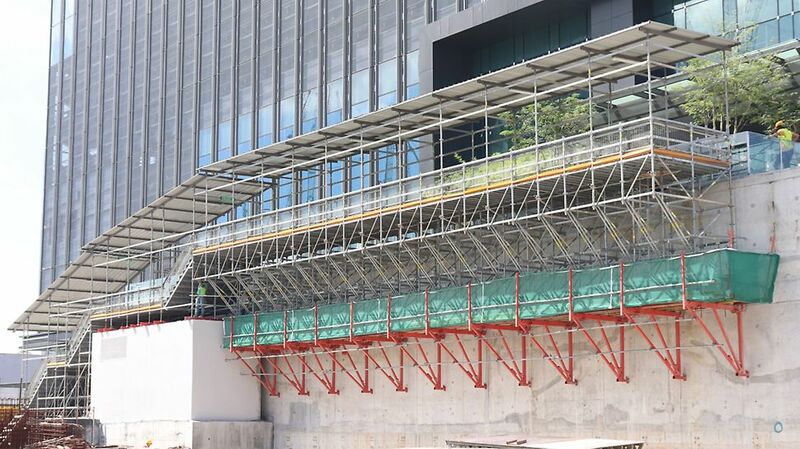 Especially the PERI UP modular Flex Stiarcase 100 with Deck UDG, it has supported us throughout all construction phases by guaranteeing fast working operation safety and efficiency.